Today we are blessed to have dozens of Bible translations from which to pick. There is no shortage of good translations of Scripture. Every translation will have its pros and cons, and people often become very passionate about which one they believe is the “right” one. Truth be told, I believe it is a blessing to have multiple translations from which to choose. Some people might make a Bible translation preference a “hill to die on,” but that would be unfortunate. While some translations may be closer to the wording of the original languages of the Bible (and therefore a little harder to read and understand), other good translations translate thought-for-thought so that the Scripture is still highly accurate, but more accessible to the average reader. At the end of the day, most modern translations are going to be great translations with only minor differences. Memorize from one primary version. It is really hard to memorize Scripture from multiple versions! It is best if you find a version of Scripture that makes God’s Word accessible and understandable to you. When you find that version, stick with it for the long haul. Let this be the one from which you memorize Scripture. Study from multiple versions as a group leader. Sometimes the way one translation phrases a sentence can add clarity or help you understand the intended meaning of the biblical author. As you do your personal study in preparation to teach, study from different translations and note the ways translators phrase key words—the ones that are different may need further investigation on your part to uncover the original meaning of the Hebrew or Greek words that have been translated differently. Use multiple versions in your group. As you lead your group, encourage the use of multiple versions – don’t enforce your preferences on your people. If they ask which translation you prefer, tell them. But don’t be dogmatic about them all using the same one! The differences in translations will become apparent as people read verses during your Bible study. This can spur discussion. “Why does my Bible have the word X, and Bill’s version has the word Y?” Some rich theological discussions can come from this. If you need or want a new Bible, I encourage you to take a look at the CSB (Christian Standard Bible) produced by LifeWay. It has won awards for its accuracy to the original languages of the Bible, while being the most readable version of Scripture on the market today. Click here to jump to the CSB’s landing page where you can read all about it, including FAQs that will be helpful to you. 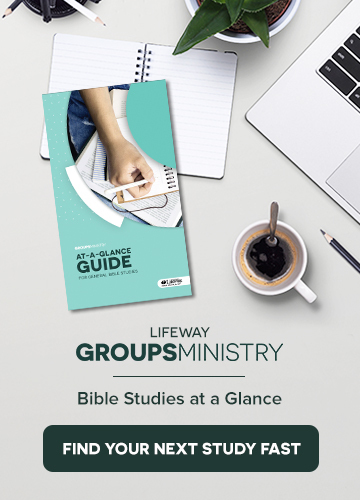 Ken Braddy manages LifeWay’s Ongoing Bible studies, leads his church’s groups ministry, and blogs daily on Sunday School and small groups at kenbraddy.com.